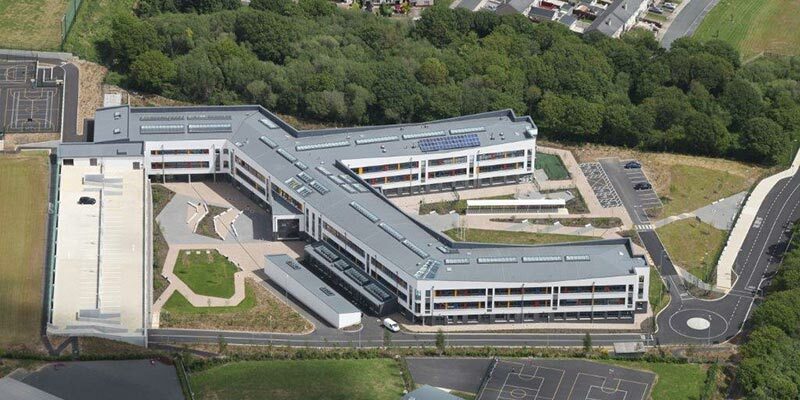 This was a Public-Private Partnership (PPP) to develop a major extension project on Gorey Community School, the largest school in the country. Select Roofing carried out an extensive survey followed by a wide-ranging design encompassing all the specifications required for the works. A Soprema Flag single-ply PVC membrane was installed on the roof accompanied by Euroclad SF500 rainscreen cladding. The result was to achieve greater durability and long-term protection against adverse weather conditions and leaks while also achieving the desired aesthetic effect without compromising the school’s functionality. We also installed a Cable Safe fall arrest system in line with Health and Safety regulations and to improve safety and roof access.